Escapades! 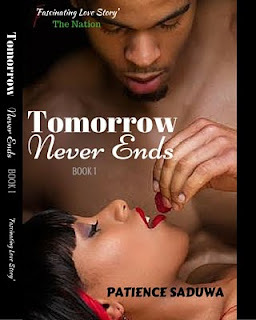 True Life Stories: 'Tomorrow Never Ends' Now On Amazon.com! We've been getting a lot of complaints from readers about the difficulty in getting our new ebook 'Tomorrow Never Ends' from the retailer Okadabooks. We are sorry for the inconvenience this might have caused. To redress this, we've made the book available on amazon.com. So, if you need a copy, just click on the book image on the side bar(on the right) and it will take you to the website. There's a promo going on now so it's free between tomorrow Sunday August 14 - Monday August 15th. So, get your copy of the sizzling book today! And don't forget to leave a review of the book no matter how short. Besides the ebook, we are also compiling some of the stories posted on this blog into a book form. It will be in a series titled 'Escapades Series'. 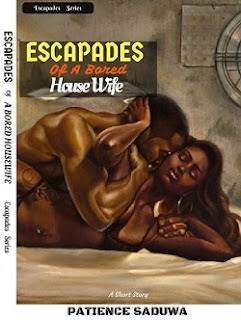 The first one is ready, 'Escapades Of A Bored Housewife' (first published in April as My Husband's Tenant'). We are doing this so you can have copies of the stories from your favourite blog in your virtual library- so no need browsing through the archives just to read your favourite story all over again. It's our little way of saying thank you for all your support. The book is free and will be available on amazon.com and okadabooks.com from this evening. The link will be posted once it's ready. Thanks to all my readers and visitors for all your support and encouragement all this while. Please don't hesitate to criticize us when we are not doing well or areas we need to improve to serve you better. Enjoy your day and stay blessed! Labels: ebook, Escapades, Passion, Relationships, Romance Stories, Tomorrow Never Ends.